After an altercation with a friend’s teenage stepdaughter, a Lynchburg resident was convicted of assault and battery, according to an article by The News & Advance. In May 2016, Oscar Orlando Floyd Jr. was at the home of a friend. Floyd attempted to touch and kiss his friend’s 13-year-old stepdaughter and made “sexually provocative” comments, according to Assistant Commonwealth’s Attorney Jessie Dumond. The stepfather intervened shortly thereafter and kicked Floyd out of the home. Circuit Judge F. Patrick Yeatts heard this case in lieu of a jury. After considering the evidence and arguments from both parties, Judge Yeatts determined that Floyd was guilty of misdemeanor assault and battery – but not guilty of felony abduction. The judge sentenced Floyd to one year in prison. In light of this news story, it feels like a great time to review the basics of assault and battery laws in Virginia. To understand the difference between assault and battery, it is important to think compare intent with physical contact. Also referred to as “simple assault” in Virginia, assault centers on intent, not physical contact. Essentially, assault can occur whenever one person threatens to harm someone else. Assault does not require a person to actually inflict harm or make any physical contact. Also referred to as “assault and battery” in Virginia, battery centers on physical contact. In simple terms, battery can occur whenever one person makes offensive or harmful physical contact with someone else. Unlike assault, battery only occurs when there is physical contact. We find the relevant penalties for simple assault as well as assault and battery in Code of Virginia section 18.2-57. At the minimum, both of these offenses are classified as a Class 1 misdemeanor. But depending on the circumstances, there are many variations to the applicable penalties. For example, there are heightened penalties for targeting victims based on their “race, religious conviction, color or national origin.” In cases of simple assault, this type of ethnic targeting includes a six-month jail sentence. In cases of assault and battery, this type of ethnic targeting elevates the crime to a Class 6 felony. Facing criminal charges can be a harrowing experience, especially considering the penalties for criminal offenses. But it does not have to be. 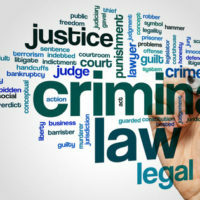 With an experienced criminal defense attorney, you will be able to navigate the criminal justice system and understand all aspects of a complicated criminal justice system. If you need advice from a criminal lawyer, please do not hesitate to contact Simms Showers LLP immediately. Simms Showers LLP maintains several offices. You can call our Leesburg, Fairfax, Winchester, or Manassas criminal defense attorneys at 703-997-7821 or visit us online and fill out a quick form.